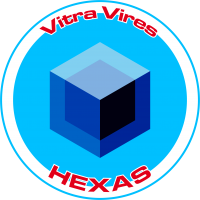 “Vltra Vires” (Beyond the legal authority) Motto of Hexaedron’s operatives. The Strategic Security Division is the PanOceanian agency for foreign intelligence. 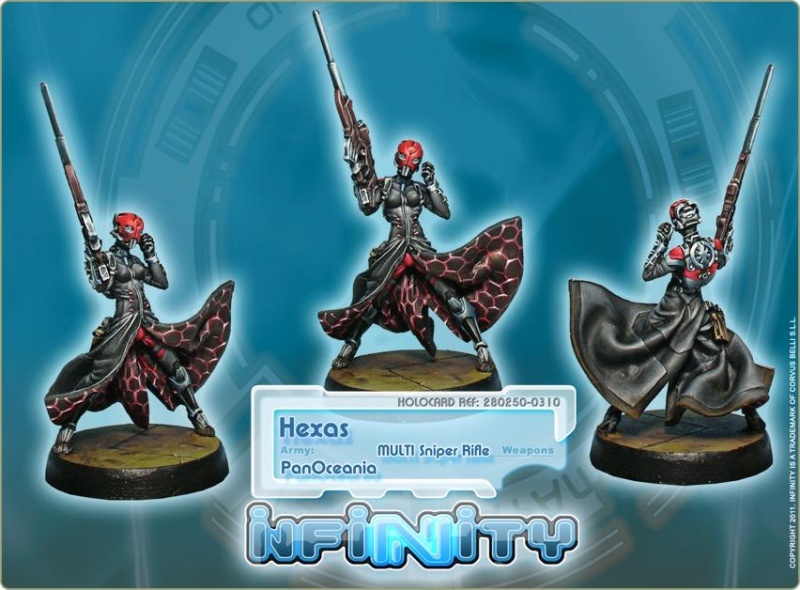 It works under direct orders from the Hexaedron, the Military and Intelligence High Command of PanOceania, and the immediate executor of its directives and orders. 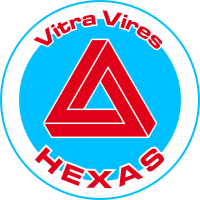 The Division’s mission, as reflected in its member’s designation-key ‘Hexas’, is to maintain the international status quo and strategic situation of the Human Sphere. Their goal is to maintain PanOceanian control in hostile operations outside national territory. 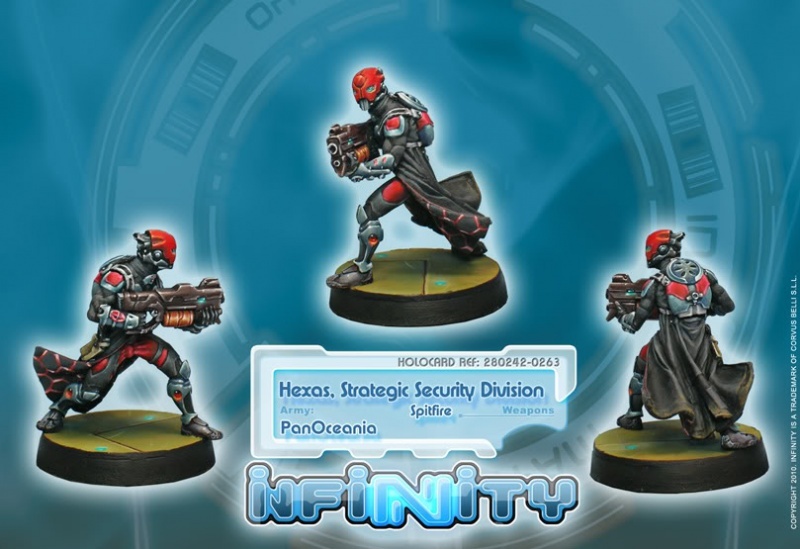 The Hexas conduct covert paramilitary operations, destabilization missions, training of rebel troops, key target abductions, interrogation sessions, and ‘termination of targets with extreme prejudice’… the classic catalogue. Nevertheless, what sets the Hexas apart from other special operations agents is their moral integrity. These guys are able to operate with total freedom, without any restrictions. They are Intelligence agents without bounds, basically professional war criminals with better technology. They lack scruples or conscience. They will do anything necessary as they think that the end always justifies the means. They trust nothing and nobody, not even themselves, much less their comrades. Judging from what little that can be drawn from their records, even the PanOceanian military loathes them. But, when the balance of the Human Sphere is at stake, does it matter? This page was last modified on 20 March 2018, at 06:38.